"The kings of 100% acoustic folk-skiffle-swing holiday highjinks"
Click here to order and any all CJB CDs. Click here for a list or Retail Stores that carry the Jug Band! Order here or find out more. Best of previously released titles plus bonus tracks of unreleased material, including the perennial-hit "Santa Lost A Ho". 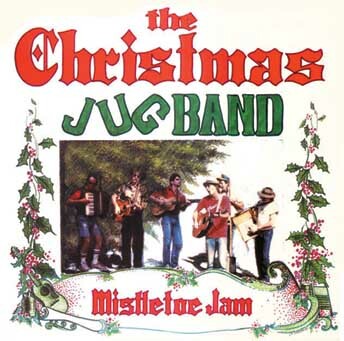 Celebrating 38 years of Holidays for the CJB, this release spans recordings from 1986-2009, from the albums, "Mistletoe Jam," "Treeside Hoot," "Rhythm On The Roof," "Uncorked," (engineered by Fred Catero) and "On The Holiday Highway". First ever "best of" release for the band. With special guests: Country Joe McDonald, Norton Buffalo, Mike Duke and Dan Hicks' Lickettes. Recorded live across 7 shows at 4 locations in Northern California, between 2006 and 2008: The Freight & Salvage Coffeehouse, Berkeley, CA; Paradise Performing Arts Center, Paradise, CA; Masonic Hall, Mill Valley, CA; Sweetwater Station, Larkspur, CA..Just under 73 minutes of sheer live CJB insanity! The foremost purveyors of Seasonal Skiffle-Swing and Jugabilly-Infused Revelry. A tongue-in-cheek, festive convergence of San Francisco Bay Area luminaries. 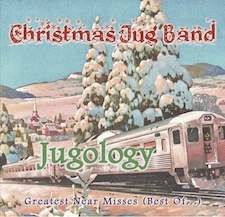 More info about "On The Holiday Highway"
he release of this CD marks the silver anniversary of that momentary lapse of sanity grown to ubiquitous proportions -- The Christmas Jug Band. The irreverent crew of Dan Hicks, Austin deLone, Tim Eschliman, Paul Rogers, Jim Rothermel, Lance Dickerson and Blake Richardson deliver a dozen season-stopping classics led by the great Rogers classic already making a buzz, "Santa Lost A Ho". Also features founding member Nick Dewey & Paul Wenninger, as well as Norton Buffalo & others. Engineered by Fred Catero (Pointer Sisters, Santana, Barbra Streisand, Big Brother, etc.). 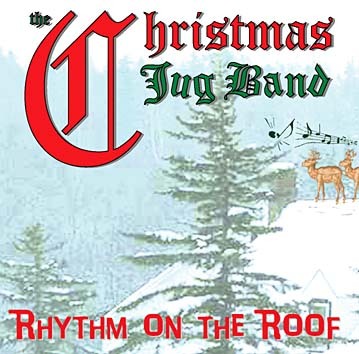 More info about "Rhythm On The Roof"
Christmas Eve LIVE from Sweetwater (Mill Valley, Ca). Festive 2nd album by the kings of folksy holiday highjinks: Dan Hicks, Commander Cody alumnus and S.F. Bay luminaries Greg Dewey, Tim Eschliman, Turtle Vandemarr, Austin Delone, Paul Rogers, Jim Rothermel, Blake Richardson. "This will do more than Uncle Bobby's eggnog to make you merry" - Pamela Winters, Dirty Linen. "If you want low down fun on the holidays this belongs in your sock" - Chris Lunn, Victory Review. "Alternative Christmas Record of the Year" (Midwest Record Recap). 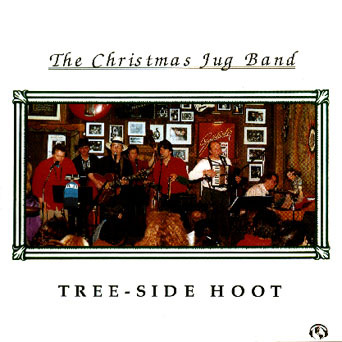 The all-acoustic skiffle-swing holiday combo of Dan Hicks, Greg Dewey, Tim Eschliman, Turtle Vandemarr, Austin Delone, Paul Rogers, Jim Rothermel and Paul Wenninger. More pictures than previous album layouts. "A welcome relief from the solemnity of the season... wonderful kazoo-and-washboard favorites... swingin' blues-jazz arrangements..." - Cash Box. "Bizarre new holiday songs sure to become dearly-beloved seasonal classics, covered by the Ray Coniff Singers in the near future." - Paul Hartman, Dirty Linen. More info about "Mistletoe Jam"
A salute to the next 1000 years with a mondo-festive South American feel that features Rhythmtown-Jive, The Christmas Jug Band (Dan Hicks, Paul Rogers, Austin deLone, Tim Eschliman, et al), many others from the Globe Roster, special guest vocalist Susie Davis (Prince, Pat Benatar), a rousing Dixieland finale, and lots of kids from the Wilson School (Petaluma, CA). The choruses are sung in English, but nine other languages speak translated versions throughout the piece (French, Italian, Mandarin Chinese, Hawaiian, Greek, Spanish, Japanese, Cajun French, and German). This is a CD single AND a Globe Records Compilation. There are full-length and edited versions of "Happy New Millenium" as well as 9 bonus tracks from recent Globe Records and Loball Releases. More info about "The Globe Compilation 2000"